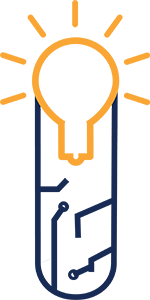 Security+ is made possible by Certis’ rich heritage in physical security, deep market insights, and unique ops-tech capabilities. It combines security, facilities management and customer service into a holistic service supported and underpinned by technology. This unique approach helps our customers to break down what are otherwise separate silos within their organisations, to realise synergies and in turn provide new and better user experiences to their customers. Security+ is also about ops-tech. With many years of experience running operations for our customers, we know what it takes to run good operations. We leverage this experience, knowledge and best practices and put it into the design of our technology to deliver more efficient and effective operations. This capability makes Certis a unique ops-tech outsourcing partner, which enables us to drive great value and create competitive advantage for our customers. 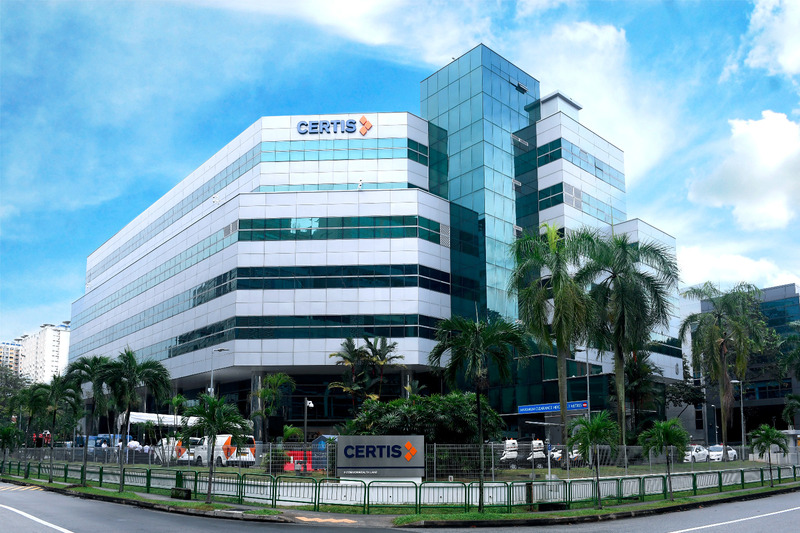 Certis Commonwealth in Singapore serves as a Living Lab where new technology is operationalised in a “live” environment. Built on a ‘Digital Twin’ framework, it is designed to improve operational efficiency, drive process optimisation and enhance service excellence through the convergence of the physical and digital worlds. The Integrated Operations Centre (IOC) is the largest commercial 24/7 Central Command Centre where it fuses best practices into the design of technology solutions at a single command and control centre in this new building. At the IOC, operational data is gathered through IoT sensors and other devices, and data analytics tools raise the level of situational awareness so that better decisions can be made in a timelier manner. The building is home to the Certis Executive Briefing Centre (EBC). The EBC is an innovation hub specially built to provide customers with a personalised first-hand experience of the innovative smart hub capabilities, integrated operations, technology processes and the scalable solutions that they can adopt. 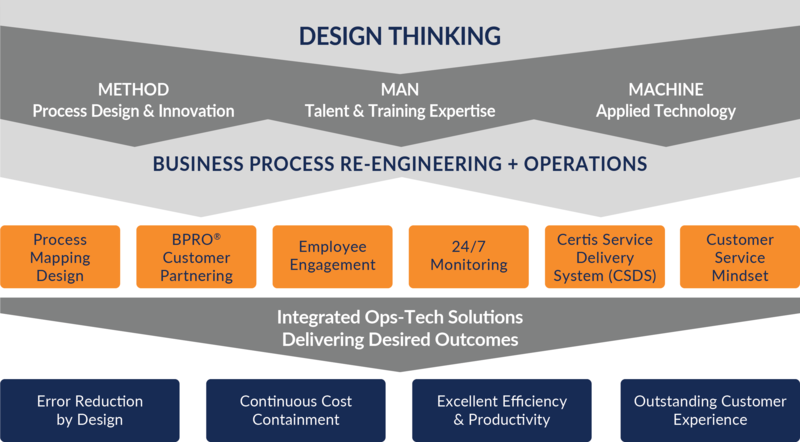 We help our customers manage change and disruption effectively with our unique Business Process Re-engineering and OperationsTM (BPRO®) framework. We start with the end in mind — aligning our goals with our customers’ desired outcomes. Guided by design thinking, we place our stakeholders at the centre of all that we do. We adopt a problem-solving approach, encouraging our people to innovate. All this while empathising with customers’ challenges and operational realities. We create optimum solutions with the intelligent use of technology, building upon the deep experience of our talent and disciplined and robust operational processes to our customers’ benefit. We believe in building strong and lasting partnerships, collaborating and co-investing with our customers to achieve joint success. BPRO® is the best way forward for businesses with critical operations that are facing challenges in today's world of disruptions. Certis plays a key role working with leading aviation hubs in the Asia and the Middle East – Changi, Sydney, Doha, Canberra – to keep passengers and aviation safe, while enabling these airports to shine in passenger experience. Our services include access control checks, pre-boarding passenger screening and check-in baggage screening, among others. Singapore Changi Airport - Certis provides more than 3,000 armed and unarmed aviation security officers deployed various security services including access control checks, pre-boarding passenger and checked-in baggage screening. Certis has also been tasked to support Changi Airport Group on the installation of new access control and video surveillance at Seletar Airport. Sydney Kingsford Smith Airport - Certis provides aviation security officers to the largest and busiest airport in Australia. Hamad International Airport, Qatar - Best airport in Middle East for the 4th year running in 2018. The 5th Best Airport in the World.